Hello, everyone. I’m not sure if anyone else has experience with the Shopify API, but I’ve hit a bit of a stump. 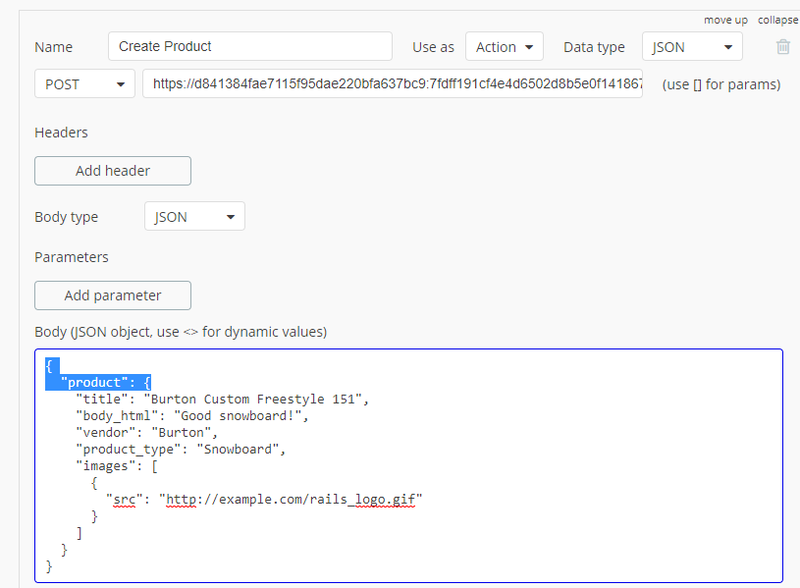 I’ve got the API configured correctly in the connector plugin, and I’ve been able to successfully GET data from the store I’m working on. Everything works great. However, when I go to POST and create a product through the API, i get this error. I know that the parameter isn’t missing or invalid. It’s right there at the top. I haven’t even made any edits to the call from the documentation at this point, so there is no dynamic data fields. I’m simply trying to initiate the call for the first time. When I run this through Postman the same way, it’s successful. Here are the shots for the Shopify documentation, as well as my setup in the API connector. If anyone has run into this before using the Shopify API, i’d appreciate any insight. 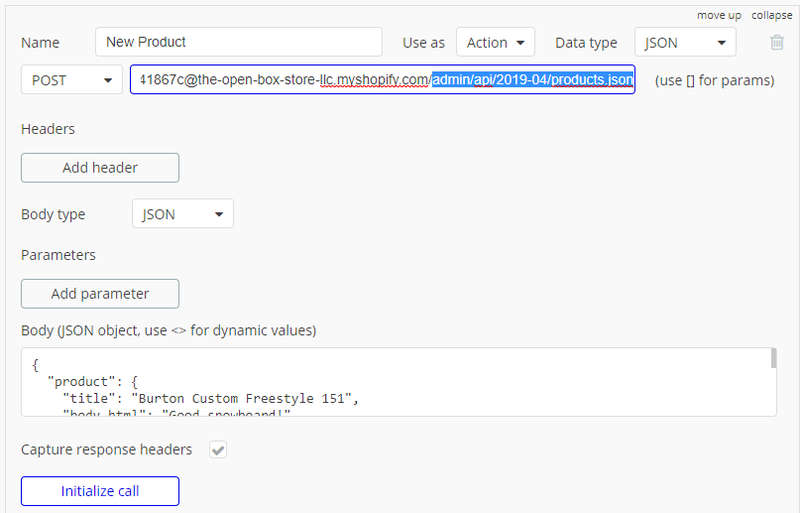 I did see on some other forum posts in the Shopify Dev forum that a similar error popped up because the dev wasn’t setting the body to be JSON, however, that doesn’t seem to be the case here, as both the body type and data type are set to JSON. Thanks! PS: It is also the correct endpoint. At the moment, I’m using Zapier for this action, which works, but not as well as I’d like. It’s a little slow, and there are certain fields, such as Barcode for a product that can’t be sent through a Zap. 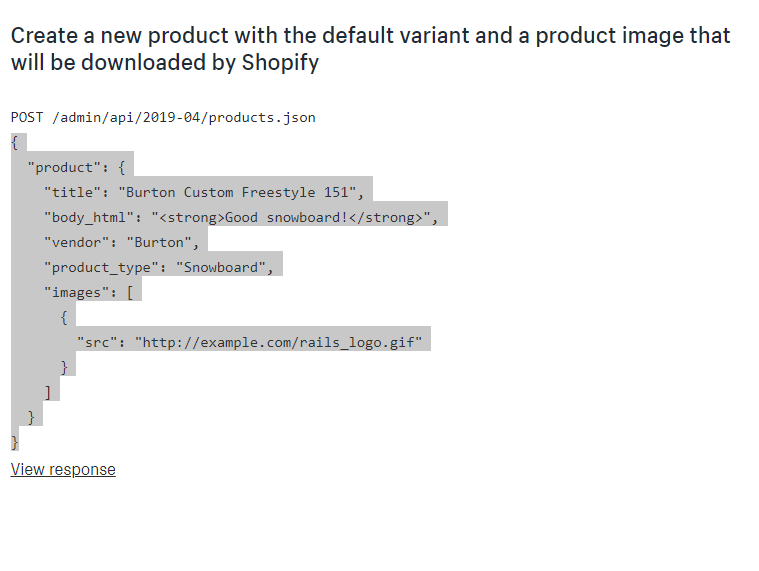 I’d like to be able to use Shopify’s API directly for this, rather than using Zapier as a go-between. Went right through after that.